Comments Off on Welcome to the Passive House Party! Welcome to the Passive House Party! I love the title of this new article published in Green Building & Design Magazine. Passive House Professionals Julie Torres Moskovitz and Tim McDonald are doing some cutting edge work in NYC and Philadelphia and are very optimistic about the future of this Energy Standard. Take some time to browse the website and Field Notes section of Portland/Seattle based builders Hammer & Hand. Their site is a wealth of how-to information on high-performance building. If you are considering building a Passive House, you might be interested to watch this video of the Pumpkin Ridge Passive House owners. This article is very inspiring. Among the predictions I’d like to see come true are more high-performance windows manufactured in the US, as well as public education about the benefits of designed/controlled ventilation. Enjoy the article in Retrofit Magazine. Who wouldn’t feel proud to call this home? This is not a Passive House, but at Net Zero it’s achieving all the positive aspects of high performance building that I care most about. It is healthy, responsible, creative, and efficient! 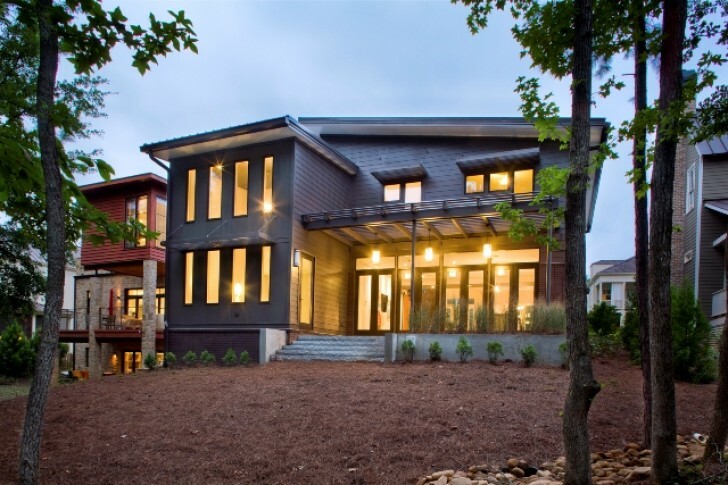 The home builder has an excellent Proud Green Home Websiteso that you can learn all about the features of this design. Let’s congratulate the owner, builder and the architect, LG Squared, for their achievement. Order your DVD today or stayed tuned as we try to organize a local screening here in Madison. 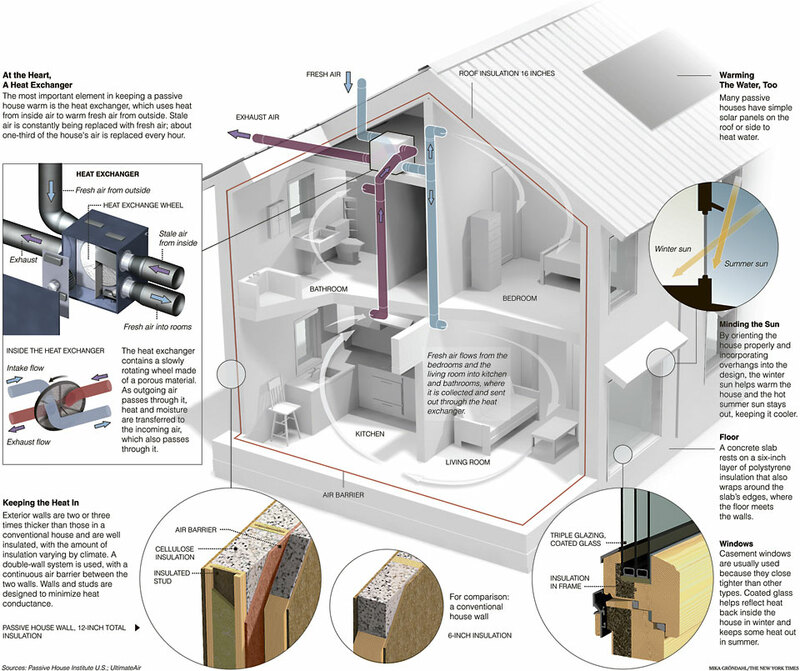 Passive House — a Building Revolution! describes the beginning of Passive House in America’s super-insulated houses of the 1970s. Although abandoned here, the movement was carried forward by building scientists in Germany. Today there are 25,000 such buildings in Europe. The film explains the environmental challenge and opportunity represented by buildings. Passive houses should cost less than conventional buildings based on a lifecycle cost analyses and can provide better comfort and air quality. The film also introduces the importance of deep-energy retrofits in reducing energy consumption and CO2 emission from our 113 million existing homes. The film showcases Passive House innovators across the country – architects, builders and home owners, as they share their reasons for choosing to build a Passive House or do a deep-energy retrofit on their own home. 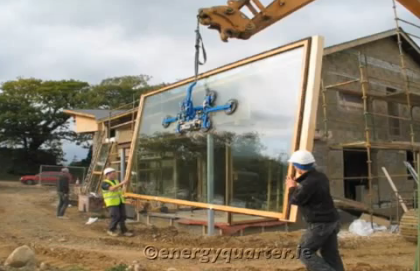 This video features The Passive House Academy’s Tomas O’Leary explaining some features from his own house in Ireland. I had the benefit of attending Tomas’ training course in the winter of 2013 and credit this course with my success in passing the Passive House Certification Exam. The video provides a basic introduction to some key aspects of PH design. I love that Tomas designed a floor-to-ceiling window wall that actually admits more energy than it looses over the course of a year. He also does a quick job explaining the basics of a mechanically ventilated home. Last night I attended the Wisconsin Women Entrepreneur’s networking dinner and found so many people interested to hear more about the Passive House Standard. So I thought I would share a 2008 article from the New York Times that provides a basic discussion on this German program. Awareness of these high performance buildings is key. I am working on community presentations to host around Madison. These seminars will help spread the work about how we can build and renovate smarter. For a more in depth look at the details of construction this NYT blog post provides a great graphic. Comments Off on Don’t Call it Passive House! Don’t Call it Passive House! I think this blog post really sums up the nomenclature problem surrounding Passive House. Passive House Certified or not, I want to endeavor to design a high performance house that suits your budget. The article also touches briefly on the economics of financing an energy efficient house. I’m going this this process right now trying to find land to build my own house so I’ll let you know how the discussion is framed at the bank. A high performance home is a “highly optimized, thermal bridge free, energy sipping marvel of modern age architecture and engineering”. The design and engineering for high performance homes is holistic act that starts from day 1 with proper siting and orientation to maximize solar gains with attention to view and privacy. 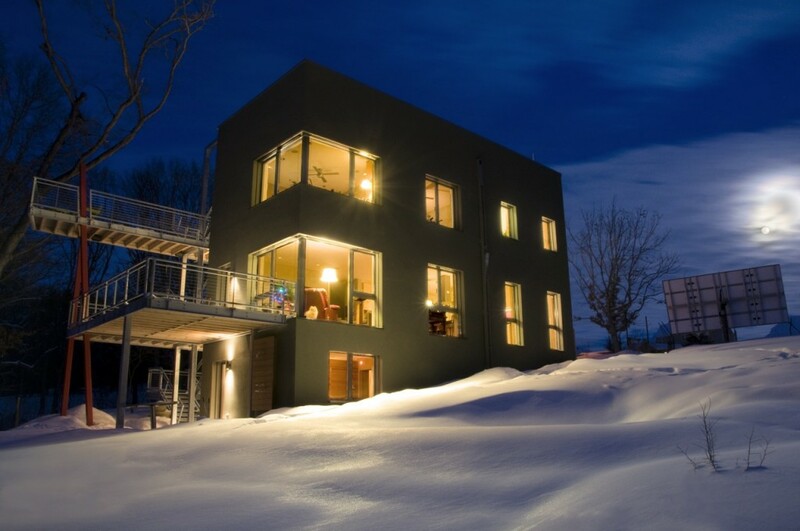 Stay tuned for a post about the economics of Passive House – and how you can try to hit the sweet spot of minimal extra costs for countless benefits including abundant daylight, large windows, no drafts, clean air, quiet interiors, and more! This compact house features high performance and efficient use of space in a small package. The client sought a two bedroom, two bath home that was right sized for their family – nothing more, nothing less. 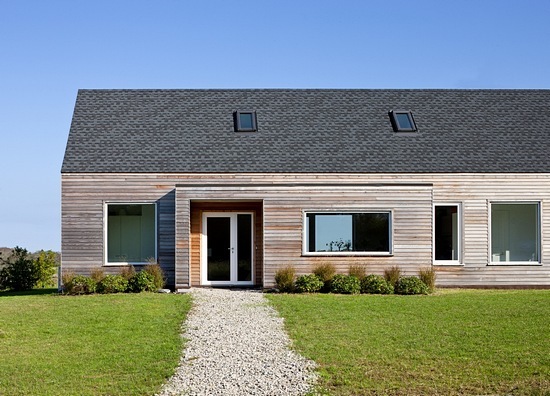 They also had a goal of minimizing the home’s energy use. The iconic and compact form of the gabled roof lends itself perfectly to the Passive House standard. This project is an example of thoughtful high design that minimizes complex construction in order to shift budget into efficient mechanical systems. At the end of the day the project is stunning and the cost to operate the building is incredibly low. 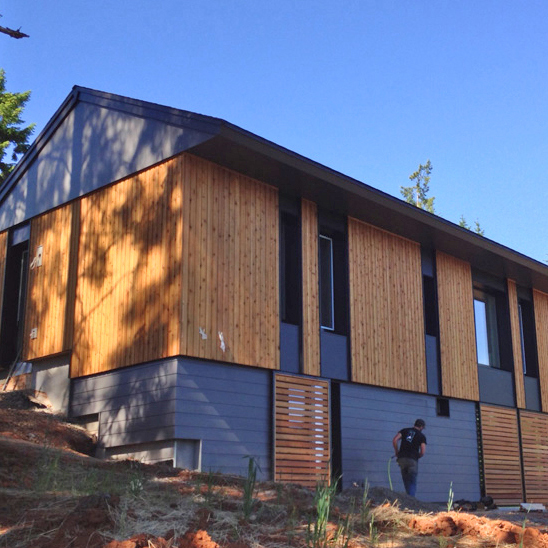 According to the team, the house ” blends economy, ecology, health and durability in ways only Passive House can. 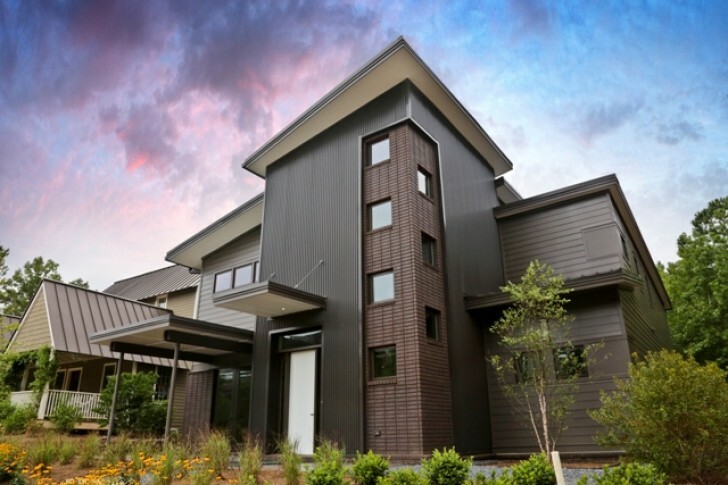 The project sets out to demonstrate that this level of performance and quality can be achieved with today’s technology—even in an extremely cold climate.” Congratulations to Tim Eian of TE Studio for being one of the first in Wisconsin to promote Passive House building technique. I hope they host another house tour soon!